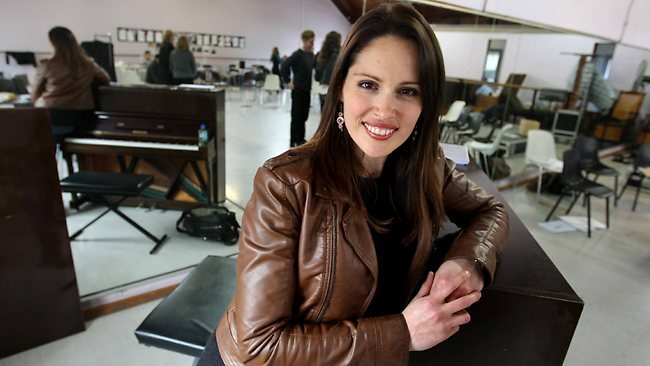 Amanda Harrison is swapping her broomstick for a pair of tap shoes. She is about to take the lead in a revival of the 1930s Cole Porter classic Anything Goes. Along with Harrison, the cast includes Todd McKenney, Anne Wood, Christie Whelan, Christy Sullivan, Alex Rathgeber, Wayne Scott Kermond and John O’May. Harrison says she’s delighted to be reunited with McKenney, playing Sweeney’s romantic interest, stuffy Lord Evelyn Oakleigh. Their last big outing was with the tour of the original production of The Boy From Oz in 1998, with Harrison as Liza Minnelli opposite McKenney’s Peter Allen. Anything Goes is at the State Theatre, Melbourne, July 20-24. 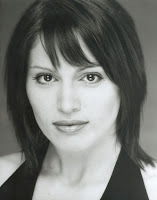 Amanda Harrison is an Australian musical theatre actress who has performed across Australia and in London’s West End. 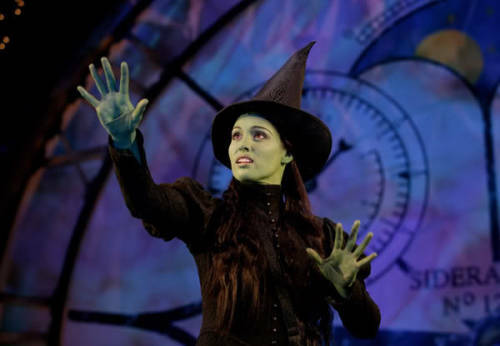 She originated the role of Elphaba in the Australian production of Wicked opposite to Lucy Durack (as Glinda). Se has recently announced that she was leaving the role and facing new challenges in her career. Harrison’s first professional stage role was in Aspects of Love in 1992. Other Australian productions include Les Misérables, The Journey Girl, The Boy from Oz, Mame, She Loves Me,Leader of the Pack, Guys and Dolls, and Oklahoma. For her performance as Ado Annie in Oklahoma, Harrison received a Green Room Award nomination for the 2005 Best Supporting Actress. Also, for her performance as Ellie Greenwich in Leader of the Pack (2005), she received a Helpmann Award nomination for Best Lead Actress in a Musical. Harrison made her West End debut in Mamma Mia! in 2001, where she played the role of Ali. Harrison was then cast in the original London production of We Will Rock You where she understudied the roles of Scaramouche and Oz. Harrison was then offered the role of Oz in the Original Australian Production of the musical. For her portrayal of Oz, Harrison received a Helpmann Award for Best Supporting Actress in a Musical. In 2007, Harrison played the role of Ellen in the Australian production of Miss Saigon. Harrison played the role for the Brisbane and Sydney seasons. Harrison originated the role of Elphaba in the Australian production of Wicked which opened at Melbourne’s Regent Theatre on 12 July 2008. For playing the role, Harrison was nominated for Green Room, Helpmann and Sydney Theatre Awards for Best Leading Actress in a Musical. 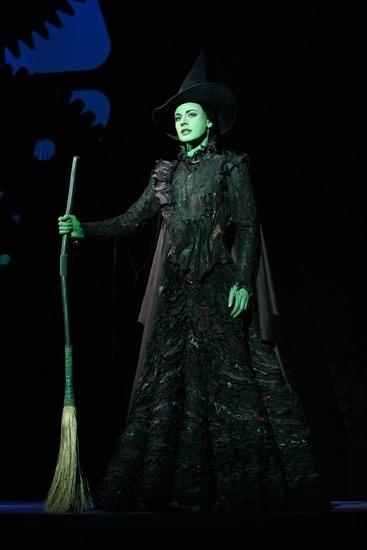 Secret Wish: Not so secret…we will miss to see her face in green defying gravity. With an amazing record of 65.000 votes the poll is close And the winner is: TEAL WICKS. With over 57% of the votes Outstanding San Francisco’s Elphaba, gets the award of “Favourite Elphaba”. Second place was for Jemma Rix – current Elphaba in Australian Production of Wicked Broadway with 40% of the votes. Surprisingly third place went to Amanda Harrison also from the Aussie Wicked with 2 per cent. Thank you all for participating! You have been all wonderful. Tomorrow Saturday September 5th is the Season Premiere of the Smashing-hit musical “Wicked” in Sydney, Australia. After a succesful year in Melbourne, the Australian production of Wicked is moving to Sydney. With no changes in cast performing Amanda Harrison as Elphaba and Lucy Durack as Glinda, the show premieres tomorrow at 8pm at the Capitol Theatre. Since its Australian debut in Melbourne last year, hit musical Wicked has cast a slightly green glow across all those who’ve seen it and has attracted thousands of people along the season. The Helpmann Award winners were announced yesterday in Australia at the Sydney Opera House. Wicked won for Best Musical! Congratulation to all the Cast and Production Team. Unfortunately, our Witches, Lucy and Amanda, didn’t obtained the award. Still, they have surely gained a special place in all of our hearts.